Since returning to Samford University in 2012 after taking a few years off to stay home with her children, Allyson Maddox has been busy. 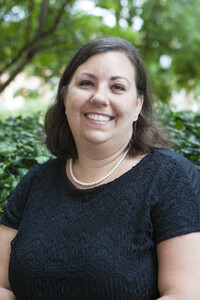 "I came back to Samford in June 2012 in the family nurse practitioner department and moved to the office of graduate student services in March 2013, first as the coordinator of graduate student services and then as the director." She lives by the Joel Osteen quote, "When you are committed to doing what's right, you are sowing seeds for God's blessings. You will never go wrong by taking the high road and doing more than is required." Maddox has been married to her husband, Shane, for 18 years and has three children, Hope, Martha Grace and Gabe.